Our Grand National Bumper Extensions are Fiberglass reproductions of the Original parts. All parts are of the highest quality and come in a black gelcoat finish that must be sanded, primed and painted. 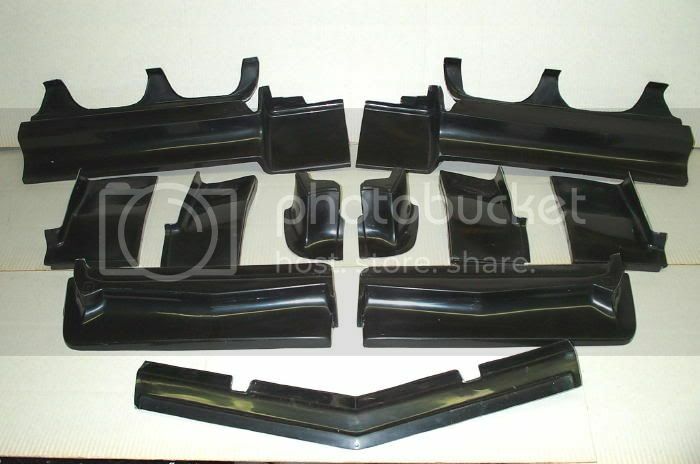 This Buick Riviera Full Bumper Filler 11 piece set is Fiberglass and comes in a black gelcoat finish.